Lewis Tree Service Inc. has been a local, family run business since 1984. We address virtually any type of issue related to trees, landscapes, removal and upkeep throughout Santa Cruz and Monterey. With more than 25 years of experience, there’s no job that’s too big or small for us to handle! Visit the CalRecycle website for more information about managing yard waste, as well as which types of trimming and clippings can be used effectively to return important nutrients to the soil. 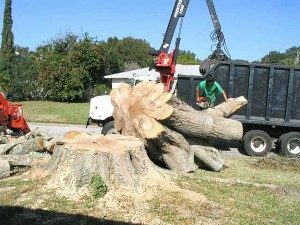 Lewis Tree Service uses only environmentally sound and ecological friendly methods for hauling and removal jobs. We pride ourselves on maintaining and preserving the recycling and waste management goals and protocols of the communities in which we work. We offer customer-centered solutions across a wide variety of service areas and strive to tailor our methods and practices to what works best for you and your landscape. Have yard waste or debris that needs removal? Contact us today at (831) 508-8995 to learn about our a la carte and full-service hauling and removal options! We’re happy to answer your questions and we offer FREE ESTIMATES to all customers, whether it’s for one tree or an entire commercial property!